I knew the kids will be delighted with cake pops. It’s colorful, sweet and it’s on a stick! What’s not to like about it? It will surely be a hit in any kids’ parties, what do you think? I wanted to try it out with my own little darlings first. I ordered a silicone form from ebay, but when it arrived, the kids were the first ones to use it. Well, they were attracted to the soft feel of the forms and they kept poking the convex side which pops to the other side. They said it was like the bubble wrap. 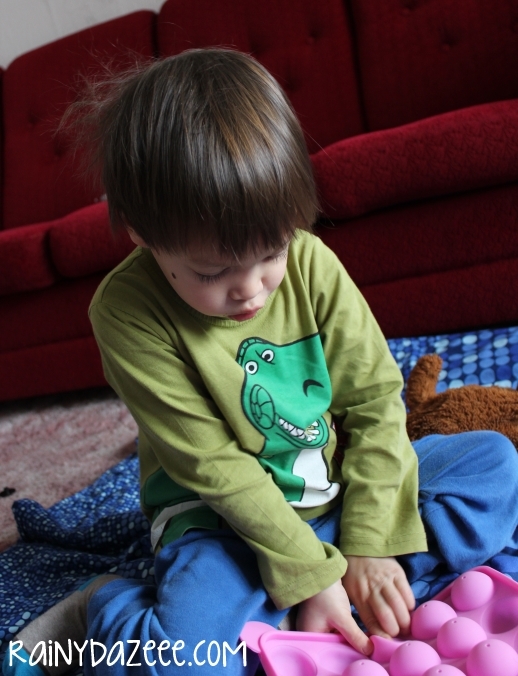 He even took out M’s blanket and laid it down on the carpet for some serious popping fun! 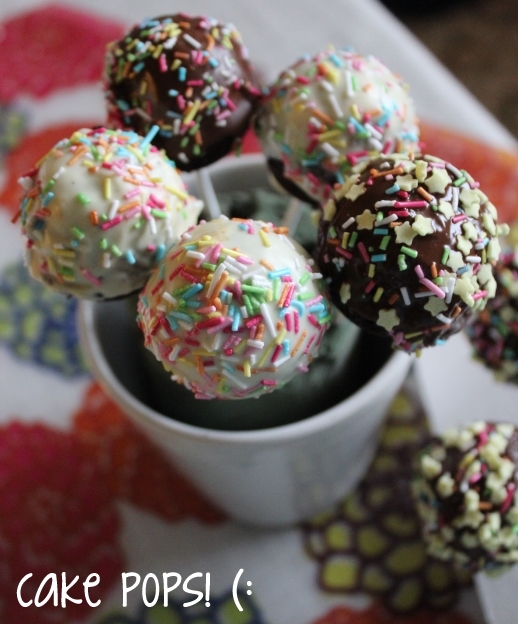 Anyway, here’s my first cake pops! Like it? The kids love it! I burned the white chocolate when melting it on the microwave. I tried melting the brown chocolate in the pot, and it was better coz I can control the intensity of the heat, but whew! I had to be fast coz I was afraid it will end up burnt again. Yummy bite! What’s up with that look, Caity? 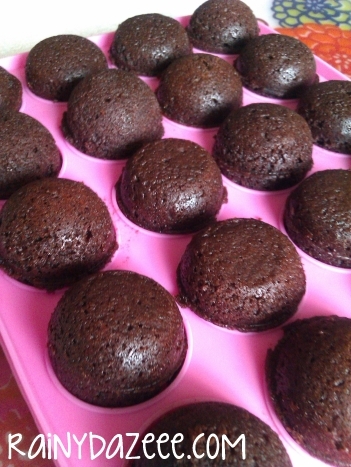 Oh, and this is the recipe I used for the cake pops: chocolate cupcakes recipe. I lessened the sugar coz it will be dipped in the chocolate later which would make up for the sweetness. I also use this recipe in making brownies, I just add crushed peanuts on top of the batter before baking. OH Iwas thinking about this just the other day, that it’s so fun and yummy! I will definitly do it as well!! 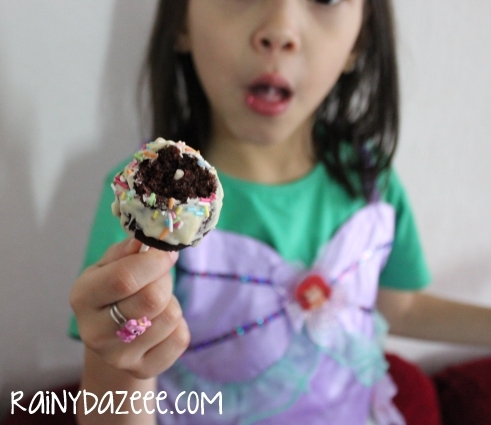 how did the cake pops go? 🙂 i’m sure your little girl loved it as well!